Distinct voices from contemporary ballet come together on the same stage to offer a program that captures all the brightness of spring: Parlami d’Amore. Seven choreographers, each with their own vision and language, have set out to create an original work on this central theme. Among them are British choreographer Douglas Lee, a veteran of great international companies who is known for his refined gestural language, and Marwik Schmitt, a promising up-and-coming choreographer from Europe, who revisits the work Spectre, Story of Lonely Souls that he created for Les Grands Ballets last year. Marcos Mauro brings an athletic female duo to the evening. Four dancers of Les Grands Ballets join the program as choreographers: Jérémy Galdeano & Véra Kvarčáková work together to present DOMA, the place where one lives, while Tetyana Martyanova presents Your Self, a sensual pas de deux; Principal Dancer Vanesa GR Montoya will create two new works for the evening: Departed and Fuego. Imbued with the spirit of openness, this performance “will be about life and love, as well as love in its broadest sense, as a driving force of life in modern society,” says Les Grands Ballets Artistic Director Ivan Cavallari. It’s about the passions that take us out of ourselves and the love that brings us together, no matter whether that love is mad, chaste, sensual, impossible, eternal or universal. A plural vision engaging a passionate dialogue between singular universes. You won’t want to miss it! Parlami d'amore is an evening where seven choreographers share the stage: Douglas Lee, Marwik Schmitt, Marcos Morau, Vanesa G.R. Montoya, Tetyana Martyanova, Věra Kvarčáková and Jérémy Galdeano. Born in England Douglas Lee started his ballet training at the Arts Educational School London and then received a scholarship for the Royal Ballet School where he graduated in 1996, winning the Alicia Markova Award. Douglas Lee then joined The Stuttgart Ballet, his promotion to Principal Dancer followed in 2002.As a principle dancer Douglas Lee danced many prominent roles for choreographers such as John Cranko, Jiri Kylian, John Neumeier, Hans Van Manen, Glen Tetley, George Balanchine and William Forsythe. Douglas made his choreographic debut in February 1999 for the Stuttgart based Noverre Society's "Young Choreographers",upon which he was commissioned to create a new work for the Stuttgart Ballet.He also participated twice at the New York Choreographic Institute to work with dancers of The New York City Ballet. With Aubade and Lachrymal Douglas presented his first works for the Stuttgart Opera House, new creations for the Stuttgart Ballet also included Viewing Room, Dummy Run and Leviathan. His Tenth work for the Stuttgart Ballet Nightlight premiered in March 2010.Following his choreographic success in Stuttgart he became a freelance choreographer working internationally. His creation Fanfare LX for the Stuttgart Ballet was taken into the repertoire of the Staatsballett Berlin. He created Fractured Wake and returned to create 5 for Silver for the Norwegian National Ballet, Rubicon Play for the Royal Ballet of Flanders and Lifecasting set to the music of Steve Reich for the New York City Ballet which was shortlisted in Time Out NY as one of the outstanding dance works of 2009 and taken into the Stuttgart Ballet repertoire. He then created Miniatures and Aria for the Stuttgart Ballet, Septet for Tulsa Ballet, Souvenir for Perm Opera Ballet which received 3 Golden Mask Award nominations, Iris and A-Life for Ballet Zurich, Chimera for Ballet Augsburg , Legion for Netherlands Dance Theatre 2, PianoPiece for Ballet Dortmund ,The Fade for Ballet Mainz, Doll Songs for Ballet Nuremberg, Ophelia for Ballet du Rhin and Playground for Atlanta Ballet. His creation Snow Was Falling for Perm Opera Ballet Theatre received the Golden Mask Award for best choreographer 2016. Recent creations include Arcadia for the Stuttgart Ballet, Fortress for the Greek National Ballet and Lady with a Fan for Ballet Zurich. Marcos Morau (Valencia, Spain, 1982) studied choreography at the Institut del Teatre in Barcelona, the Conservatorio Superior de Danza in Valencia and the Movement Research in New York, obtaining the highest score on the final project and the extraordinary award of the Institut del Teatre. His artistic skills are not limited to dance but extended into disciplines such as photography and drama, studying the Master in Theory of Drama. 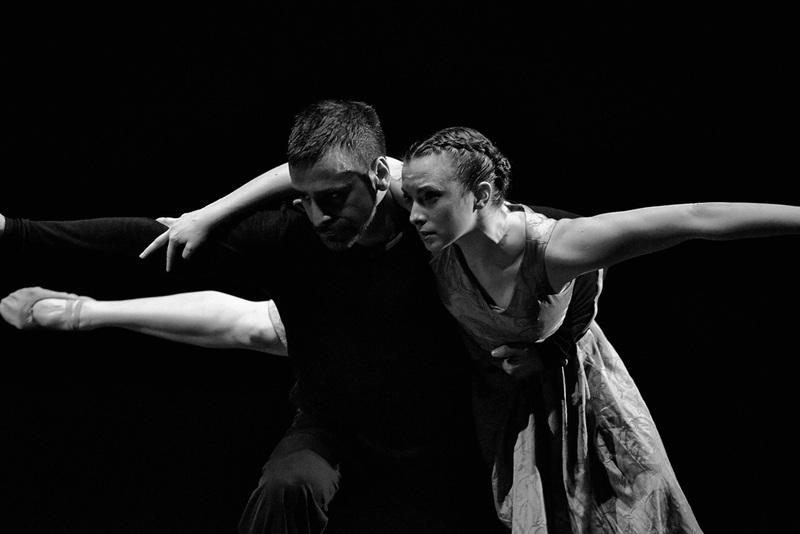 In 2005 he created La Veronal, company formed by artists from the dance, film, photography and literature. The artistic team purpose lies directly on a constant search for new expressive media, for cultural references – cinema, literature, music and photography, mostly – to bet on a strong narrative language with the intention of forming global art spaces. Marcos Morau is also exporting his seal to other companies of international reputation, creating new pieces for the Compañía Nacional de Danza of Spain, Scapino Ballet Rotterdam, Skånes Dansteater, Göteborg Operans Danskompani, Ballet de Lorraine, Ballet du Rhin or Carte Blanche Norway, among others. Although Marwik Schmitt got his start in dance at just 4 years old, it was only later, after he turned 16, that he decided to make it his career. While training at the Conservatoire national supérieur de danse de Lyon, he furthered his dance studies with private teachers like Pascale Michelet, Martin Schmitt and Alain Astié. During these years of training, he took part in shows in Mongolia, where his performance drew heavily on improvisation. That technique led him to develop a more personal voice as a choreographer and ultimately to create in Lyon a solo work entitled Racine as well as a pas de deux called Would You. A solo performed at Young Choreographers’ Night in Mulhouse, France, finally opened the doors to creating a first collaborative work with Les Grands Ballets Canadiens, presented at the Festival des arts de Saint-Sauveur. His next creation was another pas de deux, this time set to music by Maurice Ohana and interpreted by the Orchestre Philharmonique de Strasbourg. As a dancer with the Ballet de l'Opéra National du Rhin since 2014, he has appeared in works by Stephan Thoss, Jiri Kylian, William Forsythe, Benjamin Millepied, Marcos Morau and Sébastien Pérrault, to name just a few. Marwik Schmitt draws his inspiration from a wide range of sources. Some of these sources are highly unusual, with people who have experienced neurological damage as just one example. Exploring the concepts of standards and normality, he takes an insightful look at human relationships, specifically those between men and women. Vanesa Garcia-Ribala Montoya has performed as a soloist dancer in several ballets including Rubies (George Balanchine), Rassemblement (Nacho Duato), The Rite of Spring and Le regard d’Orphée (Stijn Celis), Sleeping Beauty (Mats Ek), Leonce and Lena (Christian Spuck), The Firebird (Marco Goecke), The Nutcracker (Fernand Nault), Roméo et Juliette (Jean-Christophe Maillot), Cantata, The Four Seasons (Mauro Bigonzetti) and The Queen of Spades (Kim Brandstrup), The Little Prince (Didy Veldman). Her repertoire also includes ballets from world-renowned choreographers such as Duende, Coming Together, Arenal, L'Amoroso, Jardí Tancat, Six Dances, Forgotten Land, Bella Figura and Symphony of Psalms (Jiří Kylián), Polyphonia (Christopher Wheeldon), Arbos, Danz and Minus One (Ohad Naharin), Searching for Home, Dream Away (Stephan Thoss), RE-,II (Shen Wei), Frisking (Wim Vandekeybus), Ondine (David Nixon), Désert d'amour (Dominique Bagouet), Dance, Chamber Suite (Lucinda Childs), Episodes (George Balanchine), Noces among others. Born in Ukraine, Tetyana Martyanova began dancing in 1993 at the Odessa Academy in Ukraine before continuing at the HARID Conservatory in Boca Raton, Florida. Tetyana began her professional career at Columbia Classical Ballet in North Carolina. She joined Les Grands Ballets in 2011, leaving us in 2013 to dance with the San Francisco Ballet and Diablo Ballet and the Ballet de l’Opéra national du Rhin. She returned to Les Grands Ballets when Ivan Cavallari arrived here, in 2017. Jérémy Galdéano trained at École Michelle Lucibello in his hometown of Nîmes, France, before continuing his studies at École nationale supérieure de danse de Marseille. After a year with the Ballet national de Marseille, Jérémy joined Les Grands Ballets in 2001. A native of Ostrava in the Czech Republic, Věra Kvarčáková studied dance at the Janáček Conservatory in Ostrava before continuing her training at the Győr Dance School in Hungary and at masterclasses in Prague. She began her career at the National Theatre Ostrava, and danced at the J.K. Tyl Theatre in Pizen before joining the National Theatre Brno and the Ballet de l’Opéra national du Rhin. She has been with Les Grands Ballets since 2014.